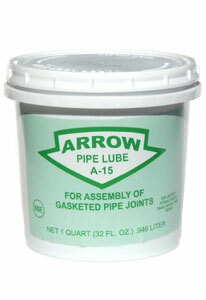 A-15 is used for lubricating and assembling all metal and plastic gasketed pipelines. It is a non-toxic, no taste or odor paste like material and is 100% water soluble. Will not deteriorate rubber or plastic gaskets. Will not support bacterial growth.